Last Sunday was the absolute PERFECT fall day! I headed on down to Moore State Park and the place was bumping with beautiful fall sessions! Erin and her son Ryan came to the park for Erin's senior portrait session. Ryan is 1 and a half and just ADORABLE, but you'll see that for yourselves in the images below. Erin is graduating this coming year and I'm so excited for her! 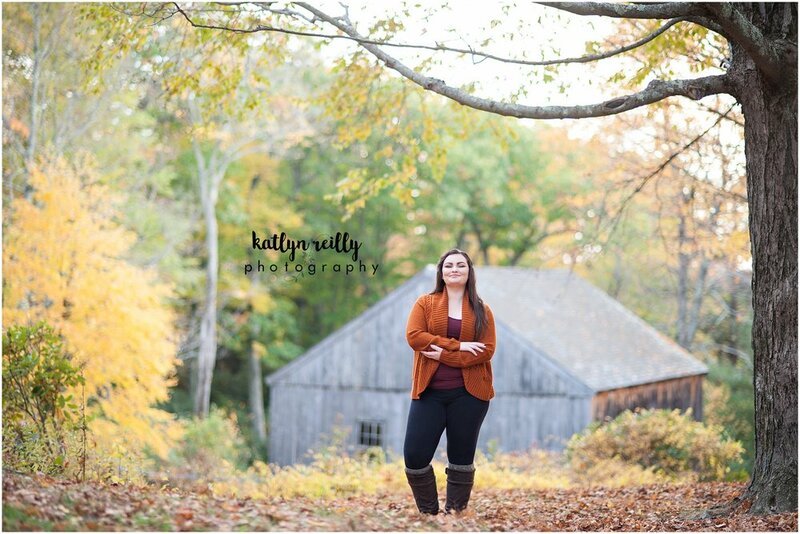 Check out some of her senior portraits below! Here's a family portrait session I did at the end of August in Shrewsbury, MA. I've known Meg since middle school and Nate since freshman year of high school. I have fond memories of Meg, including taking selfies with a plastic Santa Claus- before they were called selfies- and with each other at our friend Lauren's house. We were big *Nsync fans back in the day and we totally used to pass notes back and forth in class- before there was texting. I'm sorry Meg, maybe I should stop with these middle school memories, I'm starting to feel old! I first met Nate in high school french class freshmen year. We had a study hall together, too, and maybe a few other classes as well. Meg and Nate have been together since freshman year of high school and I believe they were voted class couple- I wonder why? ;) I've been so happy to get back in touch with them and meet the newest additions to their family! Their boys Nolan and Parker are so cute and very sweet, which does not surprise me in the least. Check out some photos from their end of summer family session!